Discussion in 'Hardware' started by rxmilitia, Nov 9, 2018. Starting a collection of the older sigelei square style mods. Ive got a black one just like the last pic you have. Bought it new back in 2015. Wow, its been a workhorse. I have to check if i ts still working, assuming that matters to you? 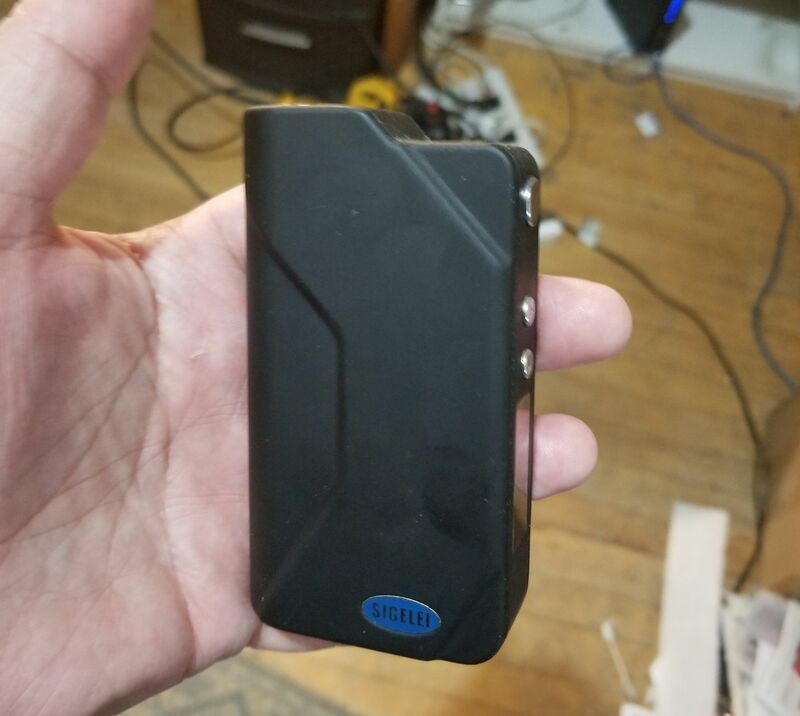 I have a 100w sigelei basically unused (slight atty rash) with box and silicone sleve available. I have no idea of value it has been boxed on a shelf. I bought it as a fda regulations back up a couple of years ago. Let me know if you are interested. Here's my 50 and 100. They're both in my daily rotation for work so they're fairly worn. My buddy at work has a red 150 as his daily mod.